Every year we look forward to the annual London Cobra Show, and this time there are even more reasons to attend. Besides the chance to win a Cobra that’s bristling with several innovative features, there’s also a whole new venue with distinguished speakers scheduled for the banquet. 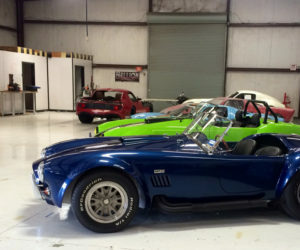 The show is scheduled Thursday, June 20, to Saturday, June 22, 2019, and is open to Shelby Cobra roadsters, Daytona Coupes and the Ford GT40 — both replicas and originals. 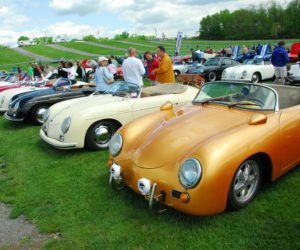 Beyond fun and great cars, the event also raises money for the Cystic Fibrosis Foundation. The primary fundraiser is the raffling of a Cobra replica, which is provided by different companies year to year. 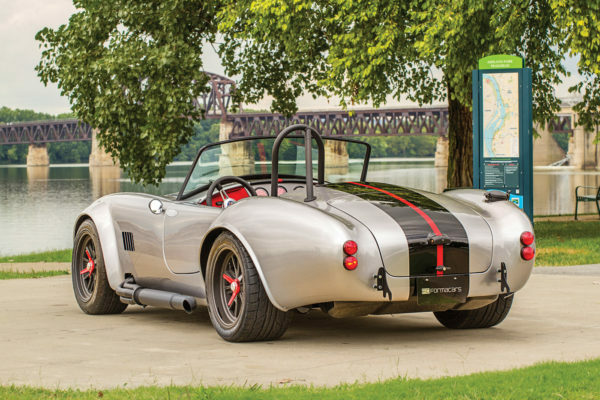 The 2019 London Cobra Show’s raffle car is a modern interpretation of the iconic 1960s automotive legend. 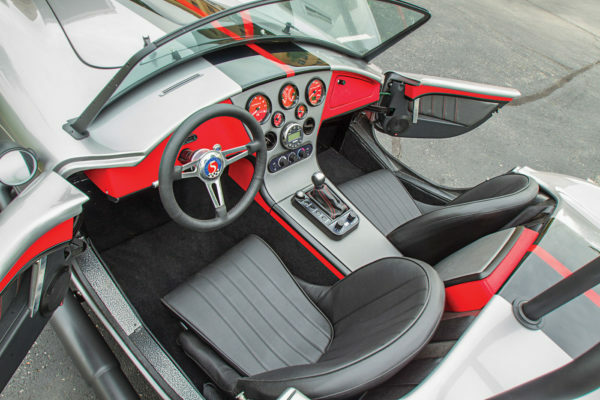 It’s based on a Factory Five Racing Mk4 Roadster and built by FormaCars using modern materials and manufacturing processes including extensive 3D printing. 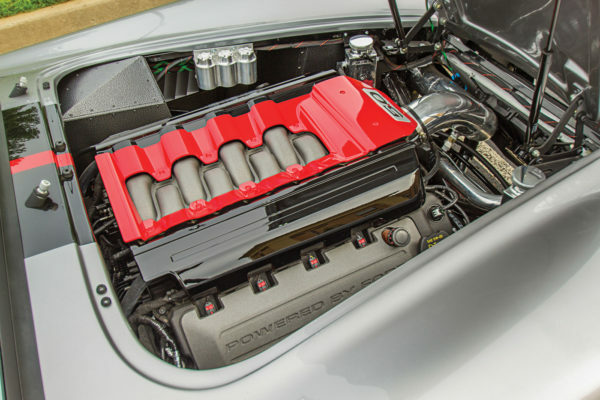 Painted silver with black stripes and red accents, along with a blackout package on the metal trim, the car runs a 435 hp 5.0-liter Coyote V8. 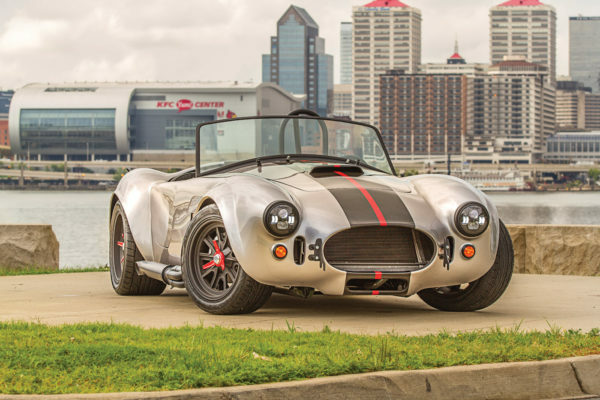 Backed by a late-model, six-speed Ford MT82 G2 transmission, and a Torsen limited-slip rear differential, it’s also tuned with an ECUMaster custom engine management system. 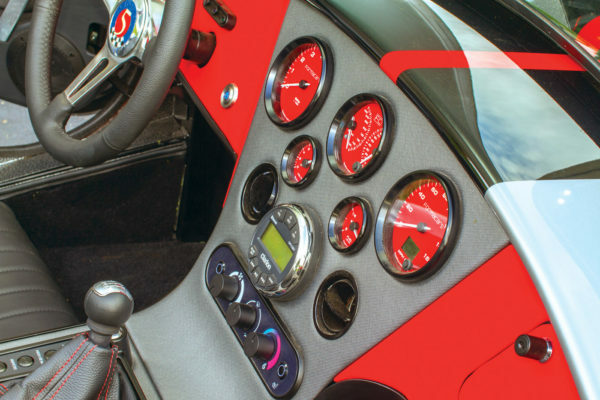 This setup enables the use of selectable driving modes with traction control that monitors and adjusts the power output, to stay in sync with the rate of wheel spin. 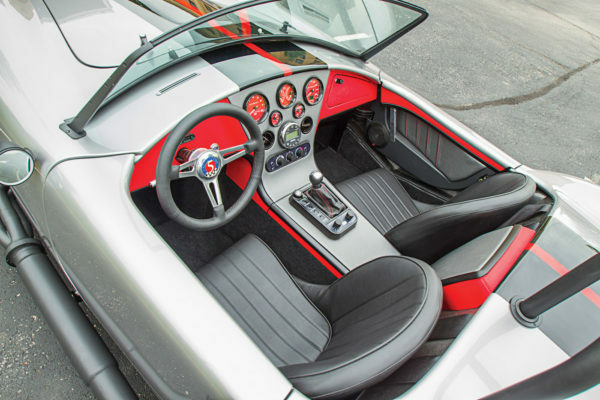 Other special features include wireless security with an electric remote, plus heated seats and custom LED lighting throughout the interior. 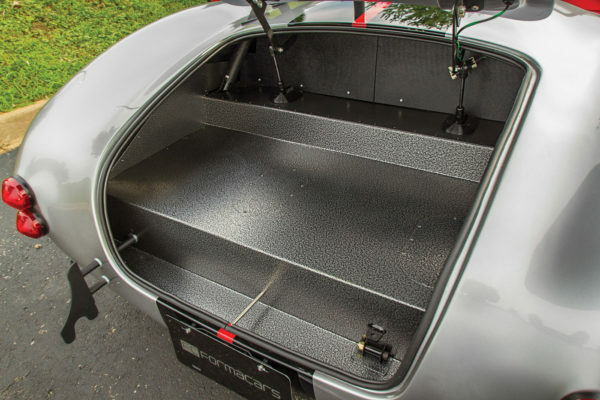 FormaCars made a substantial donation to the Cystic Fibrosis Foundation by building the car for a much-reduced cost. 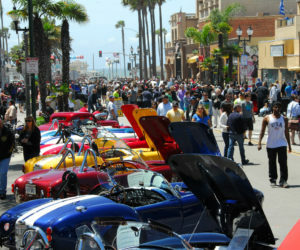 There’s plenty to see and do during the three-day event. Several cruises will be available on Thursday, June 20, for those who would like to explore the area on their own or with other Cobra owners. Activities planned for Friday include an autocross event on a 7/10-mile, 10-turn road course, as well as several guided cruises. 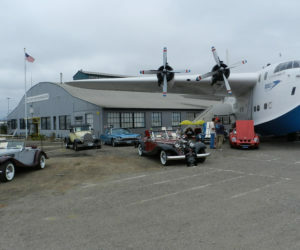 One such cruise is the Dan Semko Memorial Halderman Museum Barn Cruise. Gale Halderman is the unsung designer of the first Ford Mustang, and in 2014 he opened this facility. It houses several Ford automobiles, including his first Mustang and a large collection of drawings, artwork, memorabilia and information about all things Mustang, Ford and Lincoln-Mercury. Friday evening will be party time, as everyone relaxes at the Crowne Plaza hotel in Dublin, Ohio, for the London Cobra Show parking lot party. Kick back in your lawn chair as you experience an evening of fun and conversation surrounded by your Cobra friends. BYOB and appetite, as there will be food trucks from 5 until 7 p.m. to satisfy your hunger. 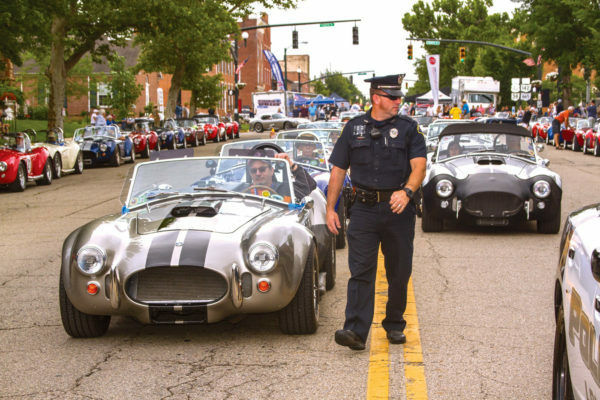 Saturday morning will begin with about a 30-minute drive to the staging area and then an approximately 10-mile long, police-escorted parade of Cobras into downtown London. 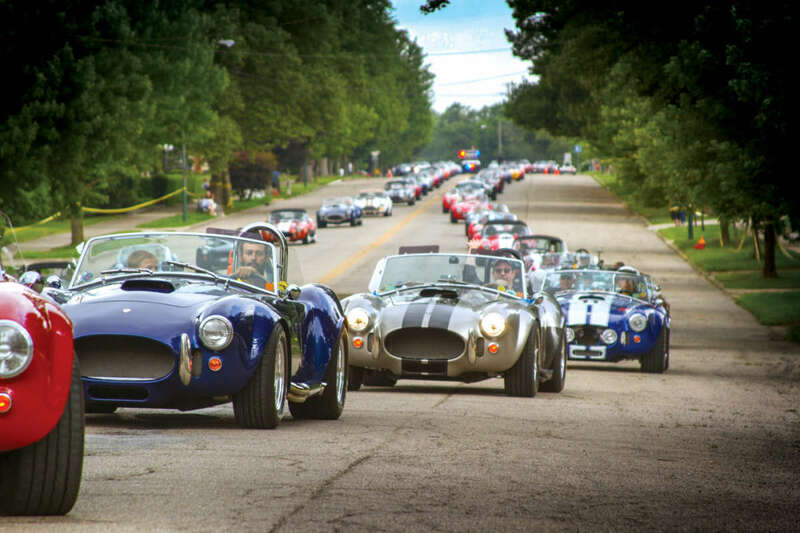 Once the Cobras are parked for display on Main Street and the opening ceremony is completed, visitors can enjoy (for a $10 donation to the Cystic Fibrosis Foundation) a thrill ride in a Cobra at speeds well above the posted limits. While the Cobras are parked on Main Street, visitors are welcome to view them, speak with their owners and visit the many vendors displaying products in Gasoline Alley, directly in front of the Madison County courthouse. 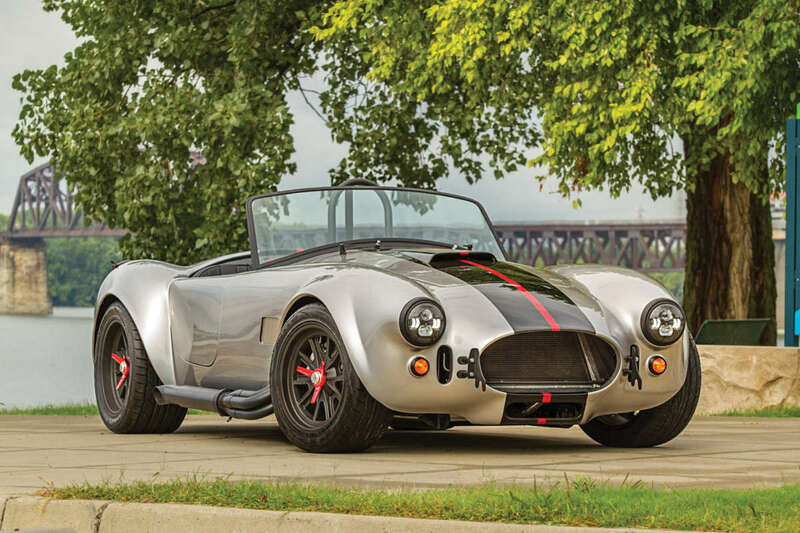 The major manufacturers of Cobra component cars, as well as suppliers of turnkey-minus cars, will be in attendance with several display models. You’ll also be able to talk with engine manufacturers, transmission suppliers and agents for component car insurance, as well suppliers of Cobra and Shelby memorabilia and T-shirts. As for lodging, the Ohio Cobra Club just announced a change in hotels so all London Cobra Show attendees can stay at the same place, the Crowne Plaza, at a reduced rate that includes a hot breakfast. In addition, there is a new pricing structure with a different cutoff date for a free T-shirt with each registration. An added benefit is that the Crowne Plaza has a very large parking lot, and there will be an area designated for Cobra parking only. 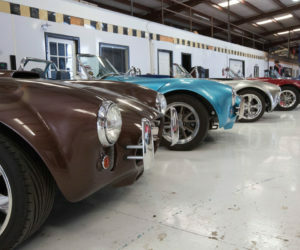 There will also be a separate area set aside for parking of pickups and car trailers directly next to the Cobra parking. This arrangement will allow access to the trailers for those who desire to park their Cobras in their trailer overnight. 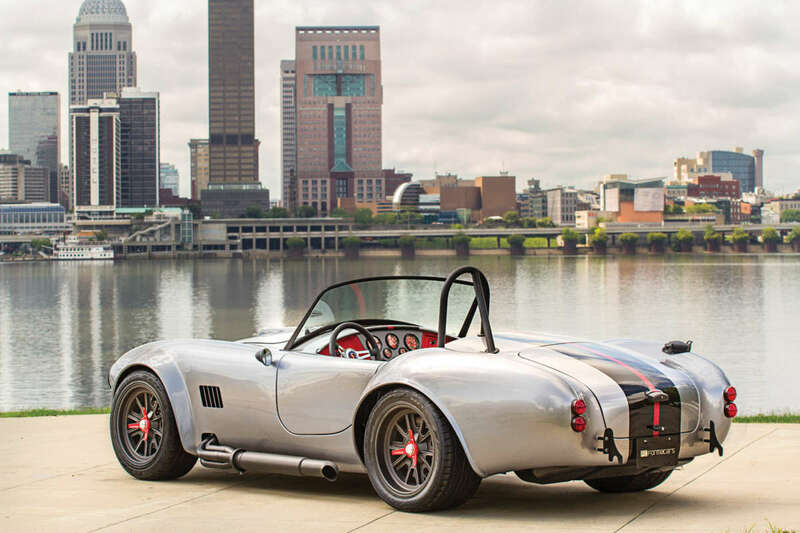 In conjunction with the show each year, the Ohio Cobra Club, a 501(c)(3) nonprofit organization, raffles off a Cobra replica with the net proceeds donated to the Cystic Fibrosis Foundation and designated for research. 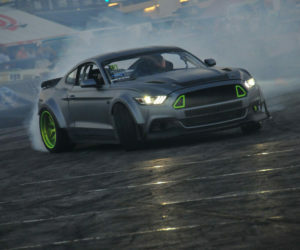 To purchase raffle tickets, go to www.londoncobrashow.com/tickets. 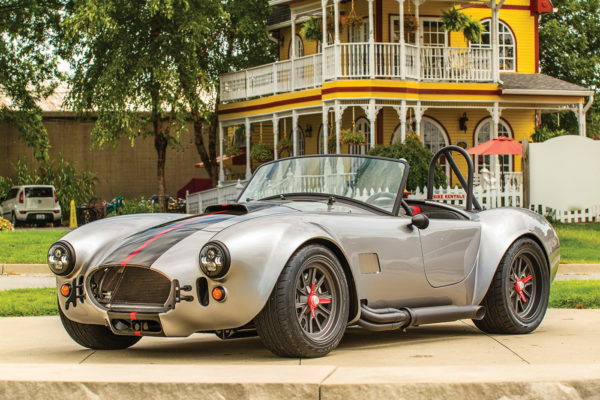 Since 2000, the Cobra raffle has generated donations of $1,333,000 to the Cystic Fibrosis Foundation and has helped the foundation fund the development of three new cystic fibrosis medicines in recent years. Everyone who purchases raffle tickets or participates in the London Cobra Show should know that they play a role in developing treatments that improve and extend the lives of those suffering from cystic fibrosis. The show will conclude with the evening’s grand gala dinner in the Crowne Plaza’s air-conditioned ballroom featuring a three-course dinner and a cash bar. Scheduled to speak at the dinner is automotive journalist and film photographer Dave Friedman. 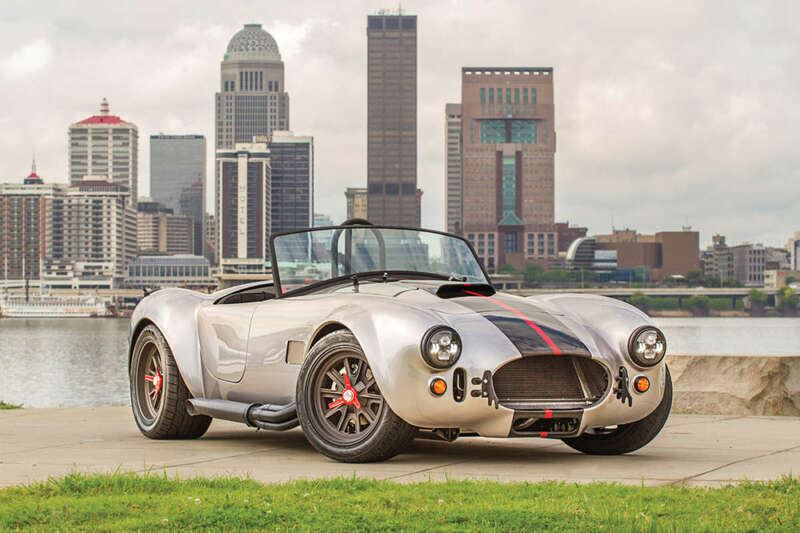 He was the official photographer for the Shelby American organization, which offered him the opportunity to accompany the Shelby team to races around the world and document the development of Shelby’s legendary Cobras. 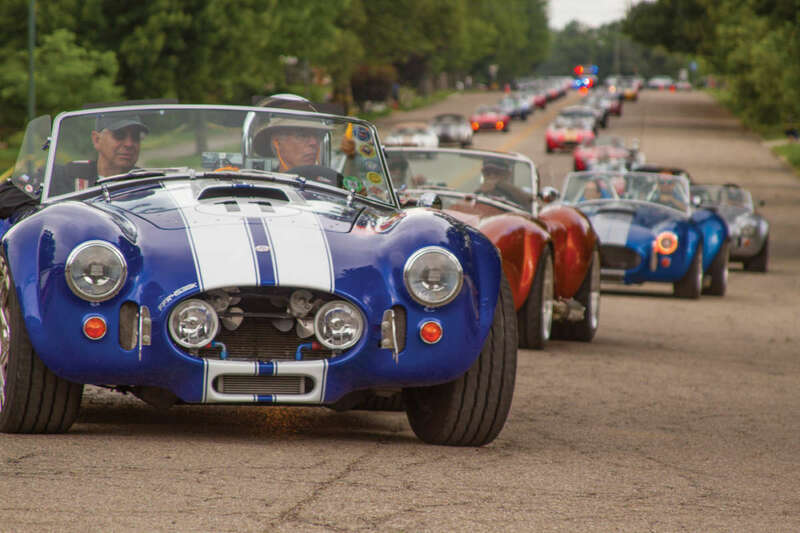 He will provide fascinating behind-the-scenes accounts of Carroll Shelby, and Shelby American personnel, racing drivers and crew members. Also speaking that evening will be Fran Kaya, senior director of Individual Giving for the Cystic Fibrosis Foundation. Fran will talk about the recent medical advancements made in fighting cystic fibrosis. At the end of the Saturday evening dinner, a donation check will be presented to Cystic Fibrosis Foundation personnel and the winning raffle ticket drawn. 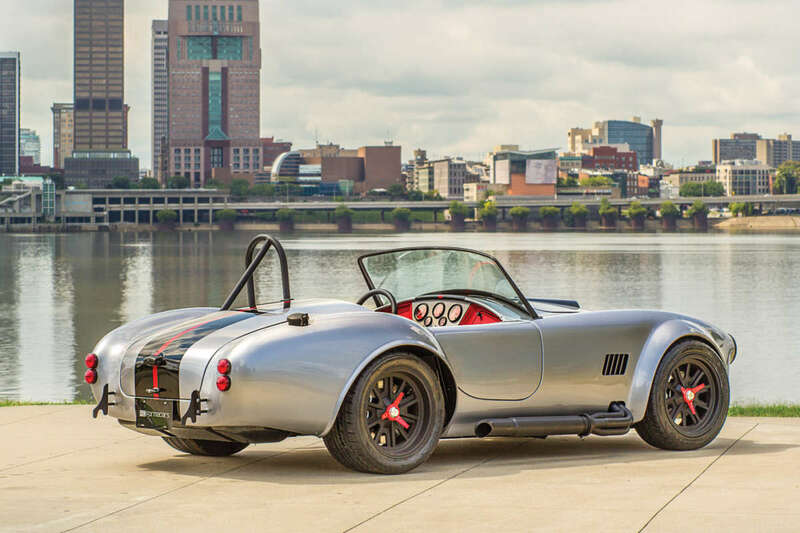 One lucky person will be notified that they are the proud owner of the 2019 London Cobra Show Cobra.